Mozilla Firefox provides useful, customizable toolbars that provide easy access to common features and sites. In this tutorial we’ll show you how to create, and add your own custom toolbar to Firefox. This is a great way to fully personalize your browser and make things more efficient when you surf the web. Open the Mozilla Firefox Internet Browser. On the top, you’ll notice a menu bar that says File, Edit, History, Bookmarks, Tools and Help. Next to that is an empty section known as the Tab Strip. Right-click the Tab Strip and select Customize. A window titled Customize Toolbar will pop up. Click Add New Toolbar. A small window titled New Toolbar will then pop up. Enter a name for your new toolbar and then click OK.
Customize your toolbar by adding items from the Customize Toolbar window. Firefox will not create your toolbar unless you add at least one of these items. Once you’re finished, click Done. Your new toolbar will then appear below the Navigation Toolbar. 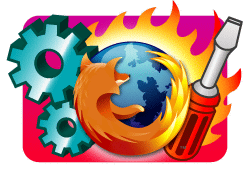 Mozilla Firefox provides useful, customizable toolbars that provide easy access to common features and sites. In this tutorial we’ll show you how toolbars can be displayed or hidden depending on your preferences. Menu Bar – This is your most basic Firefox toolbar that displays the browser menus File, Edit, View, History, Bookmarks, Tools, and Help. If you choose to keep the menu bar hidden, you can always temporarily show it by pressing the Alt key. Tab Strip – This is the section where your web page tabs are displayed. You cannot remove the tab strip, but you can rearrange it to be above or below the Navigation Toolbar. To do this, right-click the tab strip and check/uncheck Tabs on Top. Navigation Toolbar – This is your web address toolbar. It contains your web site navigation buttons, the location bar, the search bar, the home button and the bookmarks button. Bookmarks Toolbar – Contains your bookmarks and bookmark folders. Add-on Toolbar – this toolbar is associated with your Firefox extensions and is located at the bottom of the Firefox window. Mozilla Firefox provides useful, customizable toolbars that provide easy access to common features and sites. In this tutorial we’ll show you how to reposition the toolbars to your liking. Right-click the Tab Strip and select Customize. A window titled Customize Toolbar will pop up. From here you can add or remove items by dragging them to or from the taskbar. In this example, we’ll be using the Print button. The Print button is a quick tool for printing the current web page you are on. Click on the Print tool and drag it to the Navigation Toolbar. This is the space next to the address bar and above the bookmarks toolbar items. You’ll see other tools like the Home button there already. Place it where it is most convenient for you. To remove, click on the Print button again and drag it back into the Customize Toolbar window. In the Customize Toolbar window, there is an option titled Show: on the bottom left. Click on the Drop down menu next to Show:. There you’ll see three options titled, Icons, Text, and Icons and Texts. As each name implies, Icons will only show you the tool’s icon, Text will show the tool’s text label, and Icon and Texts will display both the tool’s icon and text label. Next to Show: there is a small check box titled Use Small Icons. Select this box to make the Toolbar icons smaller in appearance. Click Done to finish. 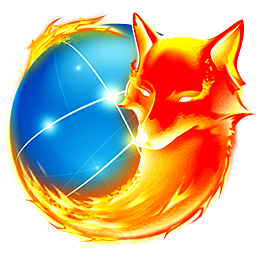 Mozilla Firefox Sync is a service that allows you to synchronize your bookmarks, history, passwords, Firefox add-ons and open tabs with another Firefox browser. This can be useful when changing computers or syncing your browser settings between a computer and a mobile phone. To do this, you’ll first need to set up Firefox Sync on your main computer and then add each of the other computers you want to sync the information with. In this tutorial we will be showing you how to setting up Firefox Sync on your home computer and then synchronize it with your mobile smartphone. Launch the Mozilla Firefox Internet Browser. On the top, you’ll notice a menu bar that says File, Edit, History, Bookmarks, Tools and Help. Click on Tools and then select Set Up Sync. A window will then pop up titled, Firefox Sync Setup. Click Next. You’ll see a window that says, Setup Complete! Click Close to finish. 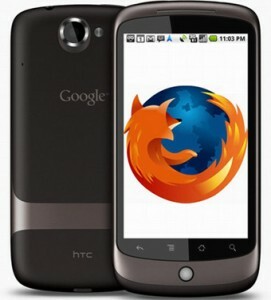 Open the Mozilla Firefox Mobile Browser. Swipe left, and tap on the settings icon located on the bottom right. Select the Preferences Tab on the top. Next locate the section titled, Sync. Tap the Connect button under the Sync Section. The setup code will then be generated. From a Firefox Sync-connected computer, go to the Sync options and select Add a Device. Enter the setup code provided. IF you are NOT near your computer, tap I’m not near my computer. Enter your account information: Email address, password, Recovery Key and then tap Connect. Download and launch the Firefox Home app. Tap I Have a Sync Account. The setup code will then be generated. In this tutorial we will be showing you how to setup Firefox Sync on your main (home) computer and then how to add each of the other computers you’d like to sync it to. Click on I Have an Account. The window will then generate a setup code. To activate the setup code, select Pair a Device on your main computer and enter the code provided. If you are not near your main computer, you can still enter the code. From the Pair a Device window where the setup code was generated for you, click on the link below titled, I don’t have the device with me. Sign into your Sync account and enter your Recovery Key. Then click Next, and finally click Finish to add device to you Sync account. Mozilla Firefox Sync is a service that allows you to synchronize your bookmarks, history, passwords, Firefox add-ons and open tabs with another Firefox browser. This can be useful when changing computers or syncing your browser settings between a computer and a mobile phone. In this way, you can take your Firefox bookmarks, history, passwords, add-ons and open tabs data wherever you go. All you do is set up Firefox Sync on your main computer and the data is then safely stored on the Firefox servers and synchronized automatically from that point. When you set up Firefox Sync on your work computer, your Firefox Browser data will be automatically synchronized with your home or main computer. This makes surfing the web on your PC easily than ever, letting you carry your Internet browser customizations with your wherever you go on your mobile phone, just the way you left it at home. Since you passwords are also stored, you can save valuable time when logging into websites or typing in long URLs from your mobile smartphone. Firefox Sync is also a two-way street, so if you bookmark a web site from your work computer or even your phone, the information will also automatically be saved on your computer at home. Mozilla uses advanced security measures to make sure your information saved on their servers cannot be seen by others, even Mozilla. Each user is given a max data limit of 25MB, but 99.9% of users never even come close to this much. If you happen to reach the limit however, Firefox will provide a warning letting you know that you will not be able to sync any new data until you delete older entries. If you happen to need more space, you can request it on the Mozilla Services Account web page. Mozilla Firefox had a Do-not-track feature that lets you tell websites that you don’t want your browsing behavior tracked. Some major websites track your browsing behavior so that they can then sell or provide that information to other companies, which in turn, show ads, products or services specifically targeted to you. This includes information about what sites you visit, things you like, dislike and purchase. In this tutorial we will explain how the Firefox Do-not-track feature works and show you how to turn it on. How does the Do-not-track Firefox feature work? 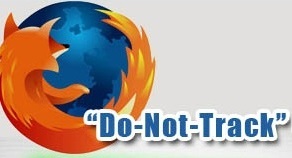 When you use the Do-not-track feature, Firefox instructs every website you visit, which includes their advertisers and other content providers, that you don’t want your Internet browsing behavior tracked. Turning on the Do-not-track feature will in no way affect your ability to log into websites nor cause it to forget your private information, such as saved shopping carts, location information or login information. Click on Tools, and then select Options. A new window will pop up titled Options. You’ll see a menu bar on the top of this window that has sections titled General, Tabs, Content, Applications, Privacy, Security, Sync, and Advanced. Select Privacy. You’ll then see a section titled, Tracking. Select the check box for Tell websites I do not want to be tracked. Everybody’s experienced this at one point: You visit a website and when you are about to see that movie or the link to download that file, you are prompted to first take a survey. These surveys can be a real pain. You have to enter your credit information for most of them, which is a dead giveaway of spam, and even if you don’t, completing the survey will usually redirect you to another survey. So here’s an easy trick on how to bypass it. First you’ll need to download the Mozilla Firefox browser. Most people won’t make it past this step. “Oh I’ll need to change Internet browsers? Forget it!” By no means is this true. You can still use Safari and Internet Explorer all the same. But when you run into a site that prompts you into a survey before giving you access to its site, then you can just copy and paste the link from your regular browser to Firefox, and proceed from there. Open Mozilla Firefox Internet Browser once it’s downloaded. From the drop down menu, select Get Bookmark Add-ons. This will open up a Mozilla’s Add-on webpage. Locate the search bar in the top right corner of the page. Download an add-on for Firefox called NoScript. This is a very useful add on that will block almost everything, including website surveys, and pop-up ads. Next, download an add-on for Firefox called CPA Blocker. Like NoScript, CPA Blocker will automatically block popular survey link redirects. Copy and Paste you website link into Mozilla Firefox and navigate to your site. CPA Blocker and NoScript will take care of the rest. 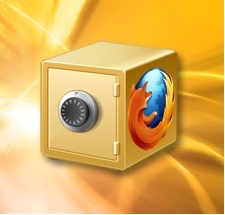 Mozilla Firefox Safe Mode is the backup Internet browser when the regular Firefox Internet browser has bugs or technical issues. Safe Mode is a diagnostic tool used to troubleshoot issues with add-ons, themes or toolbars especially after software upgrades. In addition, it can also be used to compare the extension loaded Firefox with the default clean slate version of the browser, and speeds if there’s a worry about performance. From Safe Mode you can pin down conflicting issues and go back to the default installed state if necessary. Click on the File menu located on the top of the Firefox window and select Exit. From your Windows desktop, click Start, then open All Programs and select the Mozilla Firefox folder. From here, select Safe Mode. Firefox will then start up with the Firefox Safe Mode dialog box. When the browser boots in Safe Mode, all customizations will be disabled by default. Safe Mode will not automatically load any extensions, themes, add-ons and toolbars. This is useful to check whether the problem involves these various elements or if it is some other hidden issue. Disable all add-ons – Firefox will start back up in its normal mode, except all extensions, themes, and plugins will be disabled. Reset toolbars and controls – Firefox will start back up in its normal mode, except any toolbar customizations you have made will be removed, such as position of buttons and toolbars. Delete all bookmarks except for backups – Firefox will delete your current bookmarks and replace them with the default set. Reset all user preferences to Firefox defaults – Any changes you have made to Firefox options will be set back to their default settings. Restore default search engines – Any of the default search engines previously deleted will be restored. These options are activated if you select them in the Firefox Safe Mode dialog box. Next, you’ll be presented with three options on the bottom of the dialog box: Make Changes and Restart, Continue in Safe Mode, and Exit. Make Changes and Restart will only enabled if you select one of the boxes above it (which is discussed below). Selecting Continue In Safe Mode initiates Firefox in its Safe Mode. While you are in Safe Mode, your extensions and themes will be disabled, and any toolbar customizations will be reverted back to their defaults. These changes are not permanent – when you leave Safe Mode and start Firefox up normally, your extensions, themes, and settings will return to the state they were in before you entered Safe Mode. Exit cancels your attempt to get into Firefox’s Safe Mode. Your Firefox browser will then boot in Safe Mode. Navigate through as you would on your regular customized browser and locate potential bugs and technical issues. Whenever you browse through the web, Mozilla Firefox will store a lot of information: sites you’ve visited, files you’ve downloaded, and more. This can save time when revisiting sites and help you keep track of where you’ve been. There are some occasions, however, when you might not want other users on your computer to see this information, like if you’re shopping for a birthday present or booking a surprise vacation. Firefox private browsing lets you browse through the Internet without saving any information about the websites you’ve visited or the files you’ve downloaded. In this tutorial we will be showing you how to set Firefox for private browsing and explain what information is not saved when in this mode. Form and search bar entries – No web page text box or search bar entries will be saved for the Form autocomplete feature. Passwords – No new passwords will be remembered for future use. Download list entries – No downloaded files will be listed in the Download window after you turn off private browsing. Cookies – No site preferences, login statuses, or plugin data will be saved as Cookies. Cache – No temporary Internet files or files that websites save for offline use will be saved. Open the Mozilla Firefox Internet Browser. On the top, you’ll notice a menu bar that says File, Edit, History, Bookmarks, Tools and Help. Click Tools and then select Start Private Browsing. You can also use the shortcut Ctrl+Shift+P to do this as well. A window will pop up titled Start Private Browsing will alert you that Firefox will save any current windows and tabs for after you finish private browsing. You can click a check box next to the Do not show this message again if you do not want to receive this alert the next time you turn on private browsing. Click the button beneath this message that says Start Private Browsing. To turn off private browsing, click Tools again and select Stop Private Browsing. The shortcut for this is also Ctrl+Shift+P. Click on Tools and then select Options. A new window will pop up titled Options. You’ll see a menu bar on the top of this window that has sections titled General, Tabs, Content, Applications, Privacy, Security, Sync, and Advanced. Select Privacy. You’ll then see a section titled, History. Set Firefox will: to Use custom settings for history using the drop down menu. Select the check box for Always use private browsing mode.